Update: I failed to post the second page yesterday. The March 1st runoff forecast for Blue Mesa Reservoir projects 850,000 af of inflow between April and July which is 126% of average. This represents a 35,000 af increase from the February 15th forecast. Considering the wet conditions and increasing forecast, releases at Crystal Reservoir will be increased by 200 cfs on Friday morning, March 7th. This will bring releases and river flows up to 600 cfs. Then releases will be increased another 200 cfs on Monday morning, March 10th which will bring river flows up to 800 cfs. On Monday, March 17th releases at Crystal will be reduced to 300 cfs for the day to accommodate an inspection of the stilling basin below Crystal dam. Flows in the Gunnison River through the Black Canyon will begin to drop to 300 cfs on Sunday before returning back to 800 cfs by Tuesday, March 18th. More Aspinall Unit coverage here. For the majority of the state of Colorado the outlook for spring and summer water supplies is encouraging. The snowpack in the northern and central basins continues to track above normal, but the outlook for the southwest portion of the state is not as rosy. The snowpack’s in the Upper Rio Grande and the combined San Juan, Dolores, Animas, and San Miguel basins are tracking below normal as of March 1. Both major basins received beneficial moisture from snow storms in the region in early February, but conditions dried up during the latter part of the month. The March 1 streamflow forecasts follow the trends in snow accumulation across the state; above normal runoff throughout the northern and central basins, and below normal runoff forecast for the southwest portion of the state. Improvements in snowpack and streamflow forecasts are still possible for the drier regions with March typically being a big month for snow accumulation throughout the state. Colorado has now experienced three consecutive months of above normal snowpack readings. Since January 1 the snowpack percentages have been steadily increasing each month. Reports from SNOTEL sites and manual snow courses across the state put the March 1 statewide snowpack at 116 percent of the median, up from 107 percent of median recorded on February 1. The only snowpack percentage in the state to decline this past month was in the Upper Rio Grande basin. This basin’s snowpack was just 79 percent of median as of March 1, a 5 percentage point decrease from last month’s report. 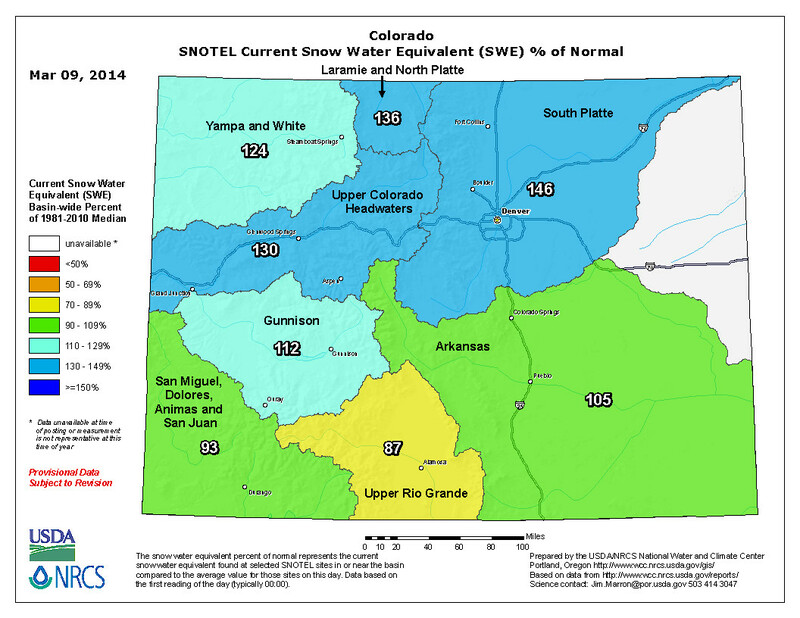 All other basins saw increases in their snowpack percentages this month. The North Platte and South Platte basins had the greatest increases with gains of 18 and 25 percentage points respectively. The Gunnison basin jumped 10 percentage points to 114 percent of median and the Colorado basin gained 9 percentage points putting it at 130 percent of median. The Arkansas basin saw the smallest increase as a whole, up just 1 percentage to 109 percent of median, but the headwaters portion of the watershed gained 15 percentage points. Statewide snowpack totals are an impressive 161 percent of last year’s totals for this same date. With roughly twenty percent of the accumulation season remaining, there is still plenty of time for recovery in the southern basins if weather patterns shift favorably over the next few weeks. February brought some impressive precipitation totals to Colorado’s high country. Statewide monthly precipitation for February was 133 percent of average. All the northern and central basins recorded well above average precipitation over the last month with totals ranging from 123 percent of average in the Gunnison basin to 209 percent of average in the South Platte basin. The Upper Rio Grande and combined San Miguel, Dolores, Animas and San Juan basins were the only basins to record below average precipitation during February. The precipitation totals for February in the San Miguel, Dolores, Animas and San Juan basins were 96 percent of average and the Upper Rio Grande basin was at just 67 percent of average which is the lowest percentage statewide. The bright side to this is that both basins recorded higher monthly percentages than they did last month. Total year-to-date precipitation for the state was up to 108 percent of average as of March 1 which is 149 percent of last year’s total precipitation at this same time. Colorado’s reservoir storage remains just slightly below the long term average. As of the end of February reservoirs across the state were storing 90 percent of their average storage volumes. Across the major river basins, storage volumes range from 60 percent of average in the Arkansas basin to 112 percent of average in the South Platte basin. Storage across the state has increased slightly this past month. Currently the state’s reservoirs are storing 3,193,700 acre-feet of water, which is 52 percent of the capacity of the reservoirs. At this time last year Colorado’s reservoirs were at only 39 percent of capacity, storing 2,419,300 acre feet of water. While it is doubtful that all basins will be able to fill their reservoirs this season, the basins in the northern and central part of the state will have an opportunity to continue improving their storage totals with this spring and summers runoff. Where snowpack totals are above normal, the outlook for summer water supplies are positive. The opposite is also true for areas with below normal snowpack’s. As of March 1, the highest streamflow forecasts with respect to average are for the headwaters of the Colorado River basin. All forecasts in this region are calling for well above normal April to July flows; the highest percentage is for the Inflow to Willow Creek Reservoir which predicts flows at 147 percent of average for that time period. Forecasts for the South Platte basin are also in good shape with the headwater streams predicted to flow at around 135 percent of average and the northern tributaries in the 120 percent of average range. The Upper Rio Grande and the San Juan and Animas basins currently have the lowest forecasts statewide. Streamflows in these regions are expected to be 70 to 80 percent of average for the spring and summer period. The lowest forecast percentage statewide is for Sangre de Cristo Creek in the San Luis Valley, at just 40 percent of average for the April to September period. We are still in the snow accumulation season, so expect changes to these forecasts if weather patterns change drastically over the next month. In the Animas, San Juan, Dolores and San Miguel basins, the snowpack on March 1 stood at 85 percent of the 30-year median. The figure is 103 percent of last year’s level. Only the Rio Grande Basin immediately to the east is worse off. There, the March 1 snowpack was 79 percent of the 30-year median. The other six basins were well above the median, ranging from 109 percent in the Arkansas Basin to 151 percent of the median in the South Platte Basin. The South Platte snowpack this year was 232 percent of last year’s level. Statewide, the snowpack was 115 percent of the median March 1 and 161 percent of the March 1, 2013, level. State reservoirs held 89 percent of their average capacity March 1, up from 67 percent of average in 2013. 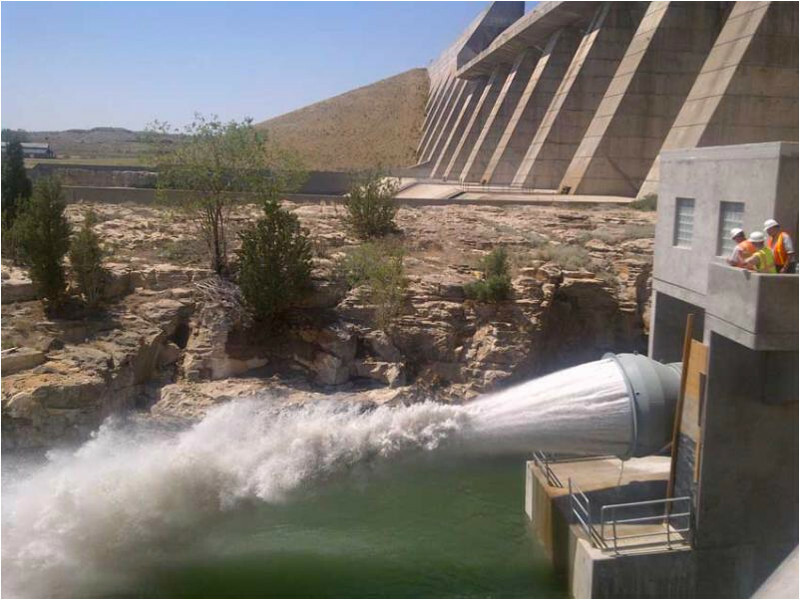 Reservoirs in the Animas, San Juan, Dolores and San Miguel basins held 71 percent of average March 1. A year earlier, the reservoirs were at 66 percent of average. Northern Colorado has seen snowpack totals nearly double last year’s mark for the start of March, as continued snowfall has led to an above-average year of mountain snowpack. Snow levels in the Cache la Poudre Basin are at 147 percent of their median historical level for March 7, NRCS reports. The snowpack at Cameron Pass, a popular backcountry snow sports destination in the Poudre Canyon, hit 133 percent of its median March 7 mark. It’s good news for skiers, kayakers and river rafting companies, though much could change before summer. March and April are traditionally Northern Colorado’s snowiest months. Already, Colorado Department of Transportation officials say they’re keeping an eye on the potential for spring runoff to damage roads battered by last September’s flood, while also causing new flooding. Colorado’s water year, which begins in October, is also largely dependent on how long the mountain snowpack stays in the mountains. An early warming trend could not only stoke flood concerns, but also could lead to worries of summer wildfires and restored drought conditions that left much of the state in 2013. John McClow is general counsel for the Upper Gunnison River Water Conservancy District and a member of Gunnison Ranchland Conservation Legacy, which focuses its efforts solely on agriculture. “We broker conservation easements to maintain working agriculture,” McClow said. In the Upper Gunnison area, the organization has helped place easements on about 18,000 acres, which McClow said is a substantial percentage of the total area. Most of the easements have a financial incentive for the landowner, he said. “Often, they will use the money to invest in more land,” McClow said, adding that it helps keep the ranch operation financially stable. The organization is getting into more complicated easements on lands that are more valuable and take more money, many being larger and closer to Crested Butte. Gunnison County directs some funds from its 1 percent sales tax toward purchasing development rights, about $300,000 per year, according to Mike Pelletier. George is working on his third easement with the Colorado Cattlemen’s Agricultural Land Trust. He’s donating the value of the development rights in return for a state tax credit he will sell for 82 cents on the dollar, but his previous two easements went through Routt County’s purchase of development rights program, which pairs tax dollars with other funds to buy the right to develop the land and places the property under an easement dedicated to conservation. “The benefit was we were able to keep the family ranch in the family,” George said about the easements, especially one in 2012 that was valued at $2.56 million. The PDR program contributed $825,000 toward that transaction, about 31 percent of the total cost. That money helped buy out other family members while George’s other easements allowed him to buy more land and pay down debt on parcels he’d already purchased. George thinks more ranchers should look into easements on their property. As early as the 1980s and during the push for major development in Pleasant Valley south of Steamboat, residents banded together in support of open-space conservation. In the mid-1990s, these efforts gained momentum with Routt County ranchers placing conservation easements on their property and new county policies being enacted to preserve open space. The effect of this work can be seen in the absence of development. The drive down Rabbit Ears Pass into Steamboat Springs shows an open south valley floor where hay meadows still dominate the view. Colorado Highway 131 cuts through working ranches in South Routt County, and traffic on county roads still sometimes pauses to accommodate cattle being moved to greener pastures. Preventing the fragmentation of agricultural land through subdivision and development keeps more land in production and helps maintain the working order of the landscape. Splitting large tracts of agricultural land into ranchettes and subdivisions means introducing new neighbors to rural Colorado. Gunnison County, another Western Slope county with a long ranching heritage, has seen the effects of agricultural fragmentation that arise from subdividing working ranchland. “What happens is when they put in the road and building sites then turn over management of the property to someone who has no experience in the area, it disrupts the irrigation system within that drainage,” said John McClow, general counsel for Upper Gunnison River Water Conservancy District and member of Gunnison Ranchland Conservation Legacy. The Gunnison Ranchland Conservation Legacy brokers easements for ranches in Gunnison County. With flood-irrigated pasture, such as in Routt County, ranchers depend on water returning from their neighbors’ fields back into the river or ditches. Turning an upstream ranch into a subdivision or 35-acre parcels takes away return flows for the ranches below it. Subdivisions downstream and closer to towns also pose challenges as the managers might be unfamiliar with how the river was managed in the past and place a call on the river if they aren’t getting their full allocation. Under Colorado’s prior appropriation system, when a senior rights holder places a call on a river, upstream junior appropriations must stop diverting water until the senior right has its full allocation. There is a nice bonus for Colorado in the Farm Bill that President Obama signed last month (Feb. 7). Senate Conservation Subcommittee Chairman Michael Bennet, D-Colo., fought hard for programs that will enable Colorado conservation organizations and local governments to partner with landowners to keep our state’s unique ranches and farm lands in agriculture. The new Agricultural Lands Easement program will provide grants to purchase conservation easements that permanently restrict development on important ranches and farm lands. These voluntary agreements will ensure that land stays in agriculture and continues to be an important — and growing — part of our state’s economy. The predecessors to this program have already conserved more than 1 million acres of economically and ecologically important agricultural lands. The new program will easily double that total. Senator Bennet joined Senate Agricultural Committee Chairwoman Debbie Stabenow of Michigan in leading the effort to pass this bi-partisan bill, working with other Colorado leaders, including Rep. Scott Tipton, R-Colo., a member of the House Agriculture Committee. Senator Bennett also changed the law to allow the agriculture secretary to waive a local cash-match requirement. This waiver will allow the program, at no additional cost, to protect the most important ranches and farmlands, even if they are in rural counties that don’t have the funding to match the federal grants. But the question is: Why should this land conservation matter to the vast majority of Americans who are neither farmers nor ranchers? While producing crops, livestock and other agricultural commodities for all Americans, properly managed working ranch lands and farms protect important habitat for our wildlife and fish; maintain cherished scenic vistas; and safeguard our water supplies and the water quality of our rivers. In addition, conserving these farms and ranches keeps farmers and ranchers on the land, and is protects an important part of our state’s economy. Colorado has 29 land trusts that are members of the Land Trust Alliance, and they have protected more than 1.1 million acres using conservation easements alone. For example, more than 150 years of Colorado history — and a part of its future — were preserved when the Colorado Cattlemen’s Agricultural Land Trust and the Trust for Public Land completed an effort to protect 650 acres of the Hutchinson Ranch in Chaffee County. Protection of the Hutchinson Ranch was made possible by funding from the Farm Bill programs that Senator Bennet just improved, along with lottery-funded Great Outdoors Colorado and Chaffee County. Though these lands — including such unique resources as the Hutchinson Ranch — are productive and important for agriculture, without action they are very much at risk. Non-agriculture development overtakes two acres of productive agricultural land every minute. But conservation easement programs ensure that our state’s most beautiful and productive ranches and farm land will continue into the future. Near Rocky Ford in Southeastern Colorado, 12,200 acres of the Mendenhall Ranches were protected using Farm Bill conservation funding last summer. The Mendenhalls used the easement to secure the future for their ranch, which is almost entirely native shortgrass prairie, home to cattle and increasingly rare grassland wildlife. That is why the Farm Bill’s Agricultural Lands Easement program makes both economic and ecologic sense for Colorado and for America. And that is why we should all thank Senator Bennet for his leadership in making the conservation programs in the Farm Bill work for ranchers and farmers. More conservation easement coverage here and here. Here’s hoping that deep snow and short memories don’t add up to problems for Colorado’s water future. With the March 1 mountain snowpack measuring at 116 percent of average and 161 percent compared with last year, it’s easy to take the lifeblood of the state’s outdoor recreation industry for granted. 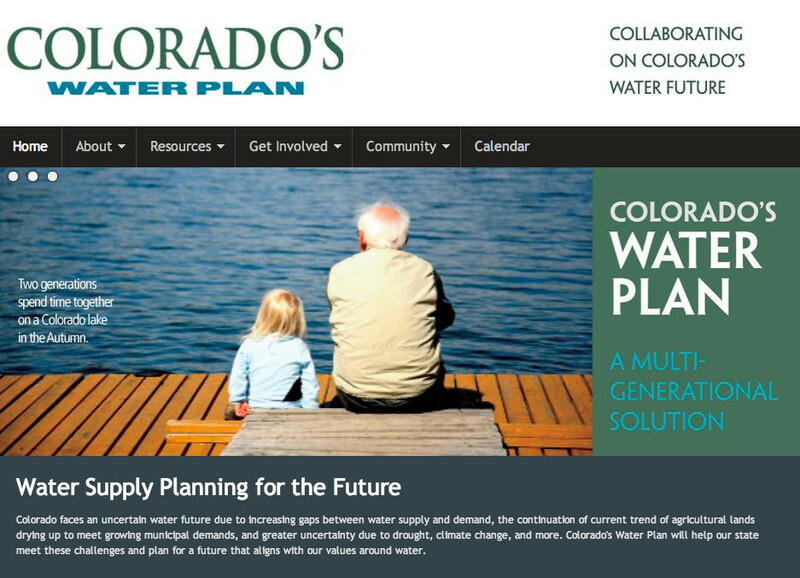 Hopefully that won’t be the case between now and March 19, when the Colorado Water Conservation Board (CWCB) is scheduled to report on the public’s expectations for the Colorado Water Plan initiated by Gov. John Hickenlooper last year in an attempt to address the anticipated gap between statewide water supply and demand. With a directive from the governor that “Colorado’s water plan must reflect what our water values are,” time is running short for Coloradans to define those values through public input. Just don’t forget the two-year drought the state has been dealing with up until now. With a gloomy forecast predicting water demands outpacing available supplies as soon as 2022, everything from agriculture to angling could be threatened even in a normal water year, along with several other aspects of Colorado’s multibillion-dollar recreation industry that relies on water from healthy rivers and streams. But it’s not just food prices and fishing that hang in the balance, it’s our very identity, the unique traits that define Colorado and many Coloradans. Above and beyond the basic necessities, water has long defined Colorado’s character, be it an Arkansas River rafting trip or the icy snowmelt portrayed in a Coors beer commercial. Our streams support wildlife for watching, hunting and fishing, entice campers and kayakers and provide the landscapes that inspire hikers and bikers. They provide the water for snowmaking at ski areas and built the halfpipe that hosted the U.S. Open snowboarding championships at Vail this weekend. Those are just a few examples of what the world has come to think of when it hears the name Colorado. And coupled with the executive order that the Colorado Water Plan needs to focus on “a strong environment that includes healthy watersheds, rivers and streams, and wildlife,” they should provide incentive enough to ensure measures are included in the plan that protect and restore flowing rivers and the tourism and recreation opportunities they provide. Just in case they don’t, though, Colorado’s outdoors community of boaters, fishermen, hunters, skiers, campers, backpackers, bikers, bird-watchers and the rest should take this opportunity to further the incentive by making their collective voice heard. 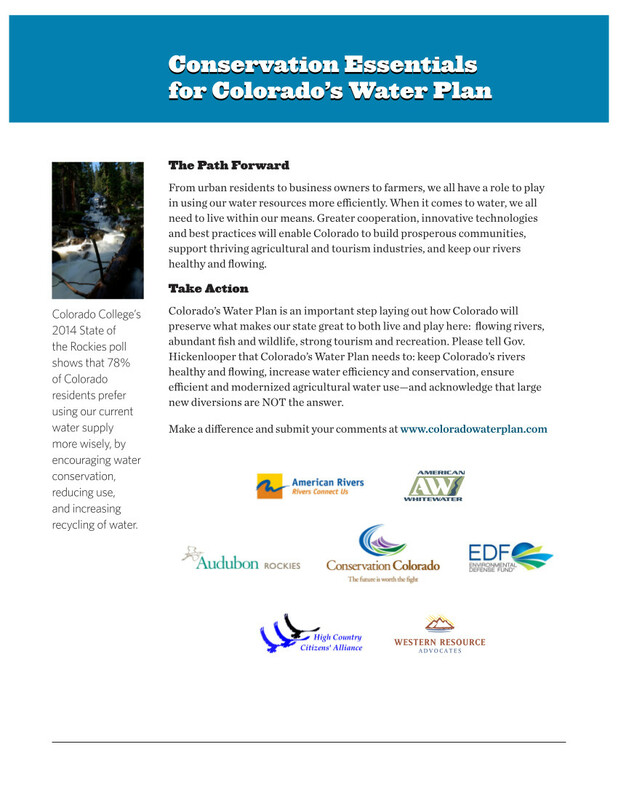 The CWCB has established a process for receiving formal input to Colorado’s Water Plan, including a process for specific stakeholder groups such as those vested in “Environment and Recreation.” Information can be found at http://coloradowaterplan.com and e-mails sent to cowaterplan@state.co.us. The most effective route may be through submitting input to specific “basin roundtables” established to present perspectives and values of citizens living in each of the state’s eight major river basins and the Denver metropolitan area. The nine roundtables are in the process of developing Basin Implementation Plans that will identify solutions to meet water needs inside the various basins and statewide. A specific page dedicated to the roundtable process has been established on the CWCB website, cwcb.state.co.us, under the “Water Management” tab. 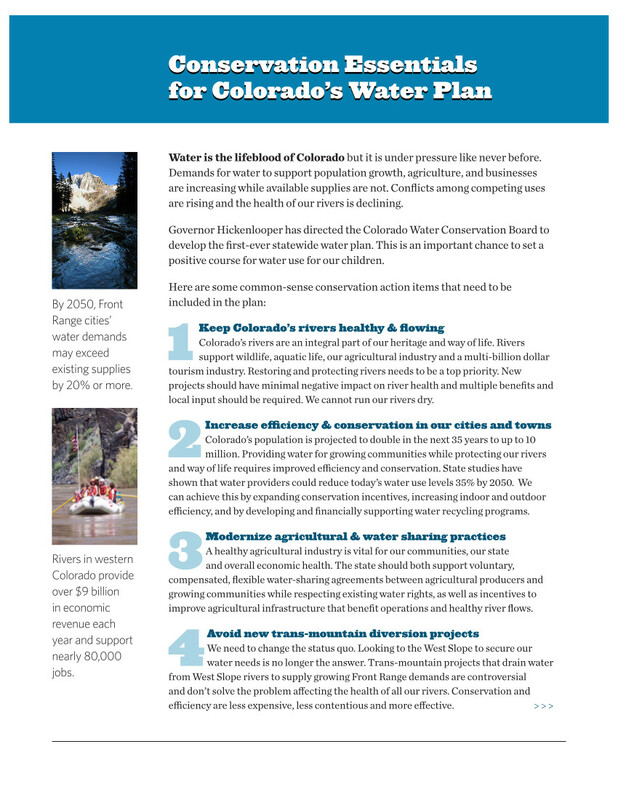 The final Colorado Water Plan incorporating the individual basin plans will be completed by December 2015. Hickenlooper and former Gov. Bill Owens gave a pep talk to water experts at a statewide summit Thursday to advance work on the state water plan, which is supposed to lay out a strategy for preserving the environment, promoting agriculture and allowing the population to double. 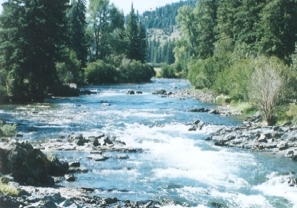 During Owens’ tenure, the state created roundtables in each major river basin to begin thinking about a statewide consensus on water. Since then, the groups have had some 780 meetings around the state, Hickenlooper said. …Hickenlooper said Colorado’s water plan, and similar plans in other Western states, could form the basis of a regional plan for the country’s dry Western states. He and other governors promoted the idea to Obama and Agriculture Secretary Tom Vilsack in a meeting at the White House two weeks ago, he said. Obama and Vilsack said they liked the idea, and they would pay for the logistics around developing the plan, but they would let states take the lead. Weld County Commissioner Sean Conway reminded Hickenlooper that Republican presidential candidate John McCain of Arizona caused a ruckus during the 2008 campaign when he suggested the Colorado River Compact needed to be renegotiated. [Sen. Ellen Roberts] said she is worried about Colorado’s negotiating strength if the Western states start working on a regional water agreement. “I’m not sure I’m on board with that. I think it’s a very ambitious task just to get a state water plan,” Roberts said.